Conditions: Firm mid winter. Feels a bit more like early season than mid, still some man made mixed into the fresh snow. Binding Adjustability: Everything you’d expect from a major binding brand. Tool less strap adjustments on flip cams and tool less forward lean. Easy to adjust and get dialed. One of the cooler things that Nitro is doing is integrating steel cables into their ladders and adjusters. Now even if you do manage to crack one, it won’t fully brake ending your day. Simple tech to keep you riding. Straps: The toe straps are a classic split toe design. It works, stays put, and conforms to just about any boot shape out there. The ankle straps are a pretty standard construction, material and foam. They are heavily 3D shaped and a little tall. Depending on your boot and fit they might cause some instep pressure. They are supportive, but I’d like to see them a little shorter as they’d conform a little better and probably fit a few more boot shapes. Ratchets: The ratchets are solid, smooth release and strong feeling crank. The release levers are a little on the small side but nothing that caused a problem, just something to get used to. Highbacks: Pretty average flex torsionally and as stiff as you’d need straight back to get anything you’d need out of them. The highback has a lot of cup to it. It helps keep the highback behind you as you move around on the board. Binding Flex: Above middle of the road putting them into the supportive freestyle range. Something you can take into the park but is also plenty of binding to cruise the whole mountain on and get sendy. Ride: Nitro’s airbags are by far my favorite footbed system out there. They provide the best combination of large hit absorption and vibration dampening. Mini discs help keep your board flexing properly underneath you and the canted footbeds are good on the knees if your riding a wide enough stance. Generally 3 degrees is on the high side of what I can tolerate, but on a rockered deck like the Aether they didn’t cause any unwanted pressure on my knees like some canted footbeds do. Rider in Mind: All mountain freestyle ride everything. Personal Thoughts: This is probably the Nitro I’d pick for myself. It’s not too stiff to take into the park, but carving and ripping around the cupped highback was always where I needed it. I also rode the Phantom Carvers, which read my thoughts on those as well, but if Nitro wants to make a “carver” binding, in my opinion the Team is the better platform to work with. The highback just makes a little more sense for that style of riding. More than likely he has pissed you off, shocked, amazed, or mortified you at some point with his ramblings. Yet, you still continue to read what he writes. Well comfort is going to be on you as the user. As far as response it’s similar minus the Skate Tech so you don’t get that drive from toe to heel like you would on them. Can you rotate the highbacks? Well, if you could loosen the bolts! 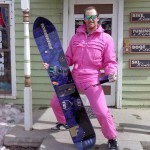 What bindings between nitro team and nitro zero for all mountain program? Would you get these or the Rome d.o.d. to pair with a jibsaw heavy duty?